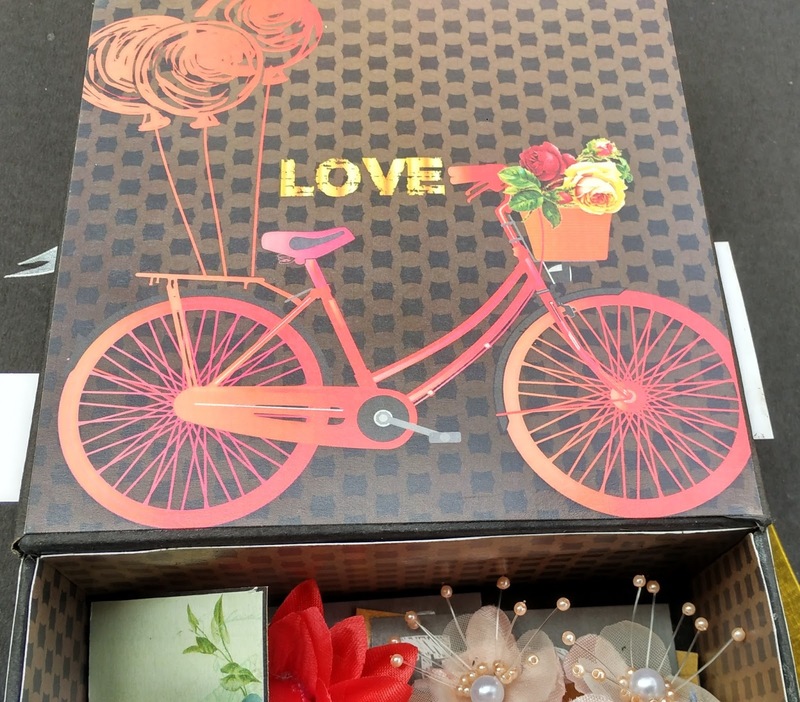 Blessy Priya will be our Guest Dt for 3 months .We all love her works isn't it!Let's sit and enjoy her works throughout this journey! 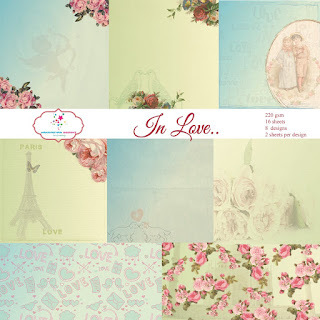 Love has been the theme this past month, in the light of Valentine’s Day. 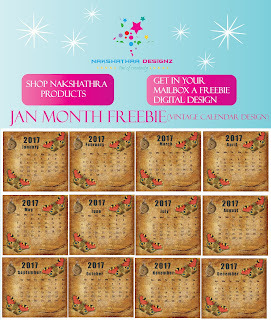 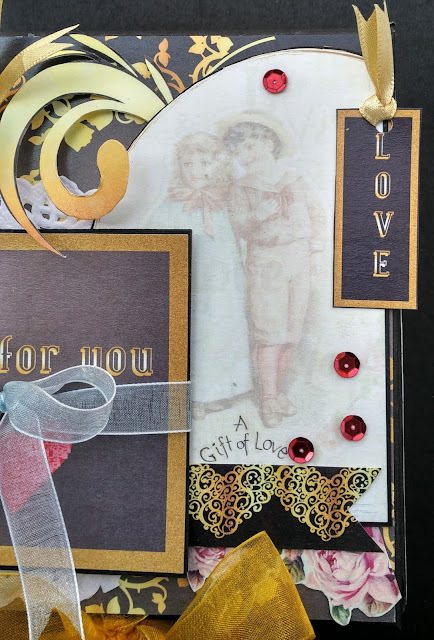 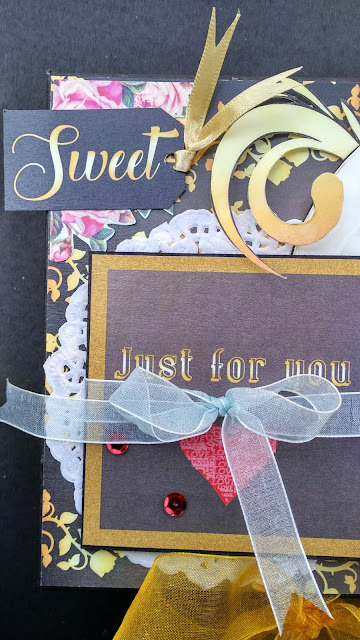 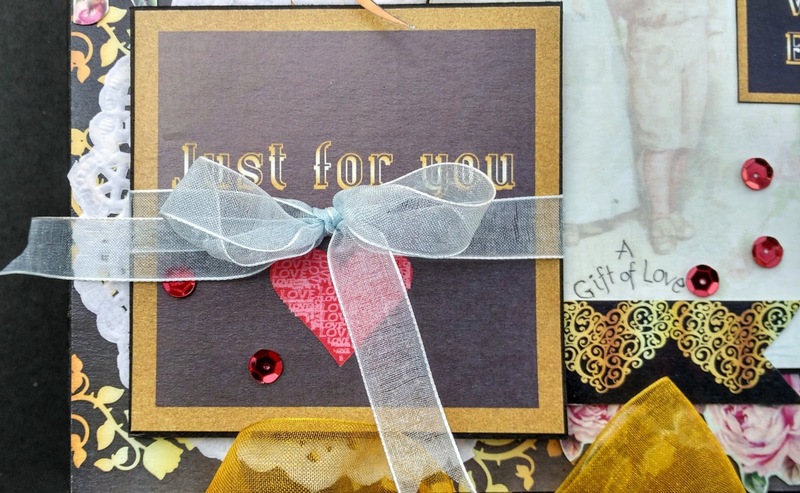 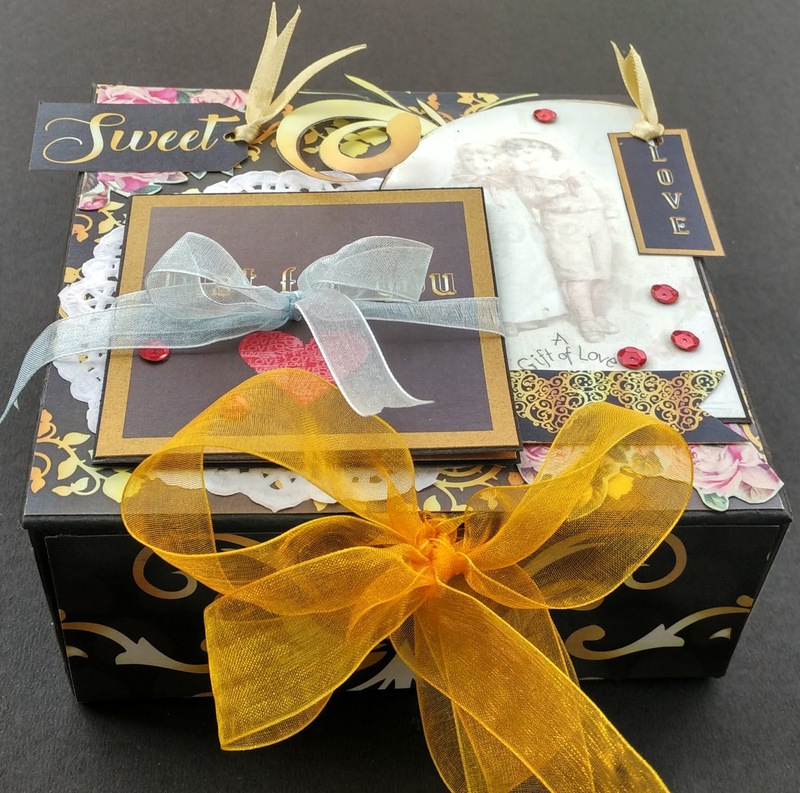 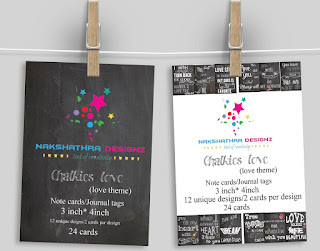 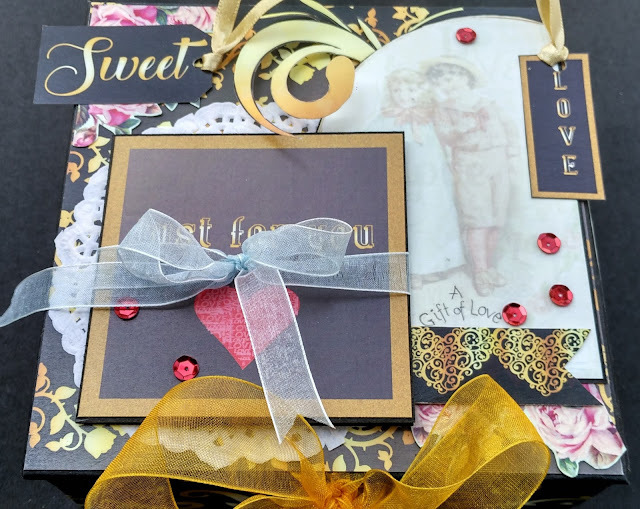 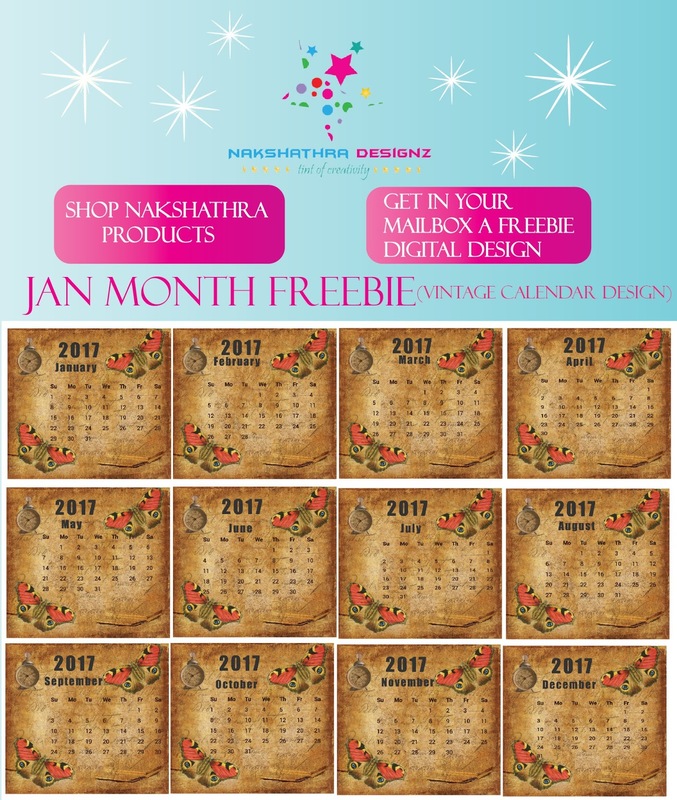 I’m Priya here with a Valentine Gift Box for my third Guest DT post. Who wouldn’t love a valentine box filled with chocolates, love notes and everything else you love. I have used In Love pattern paper, Amor De Oro-Golden Love pack, and Chalkies Love note cards for creating this box. For making the box I took two 15*15cm and for 5*15cm chip board, stuck them on the cardstock and made a plain box. 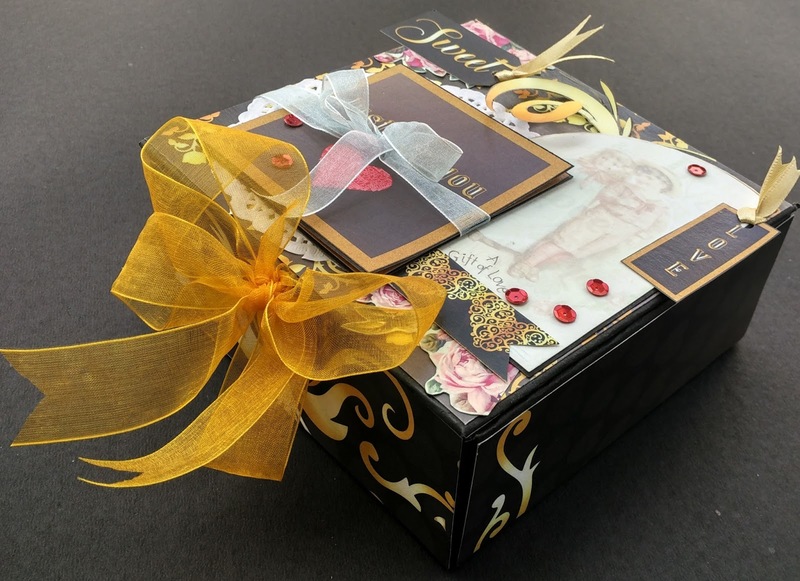 Then covered it with papers from Amor De Oro-Golden Love pack. 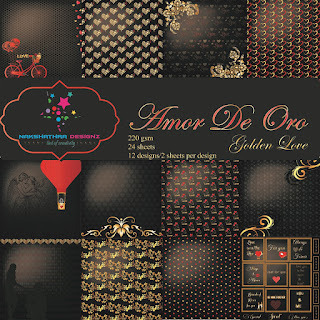 Once done cut out few portions from Amor De Oro-Golden Love pack and In Love pack and arranged them to finish the cover. 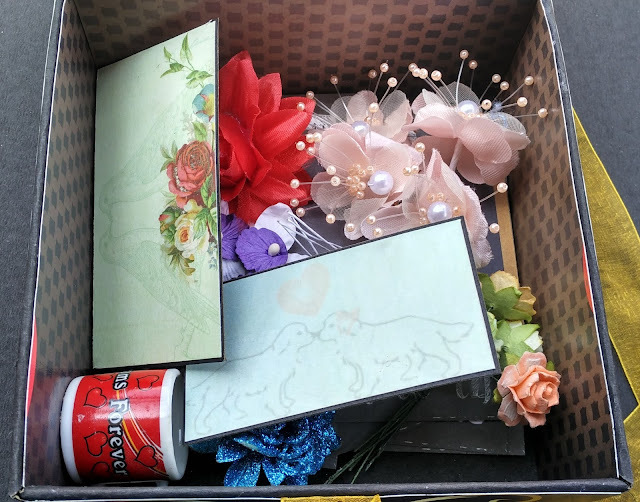 I have filled the box with few artificial flowers and a miniature cup and Chalkies Love note cards. 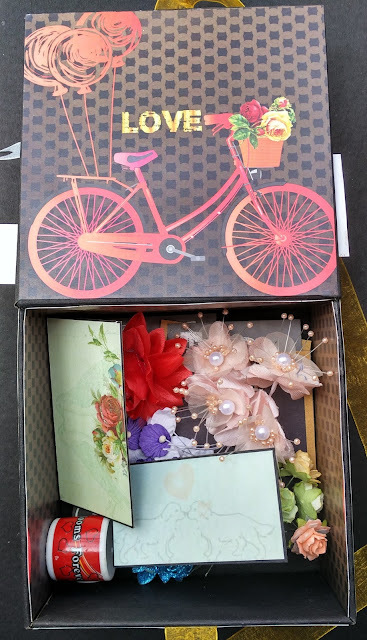 Here are few pictures of the same.